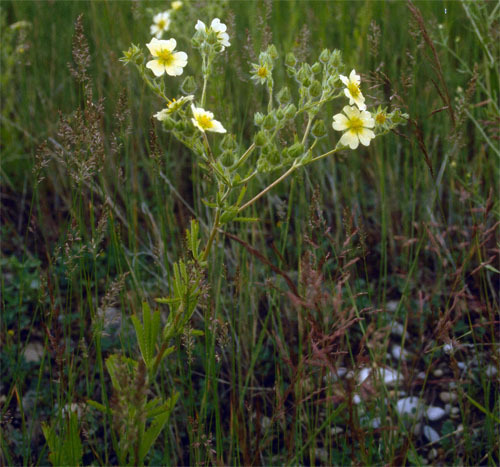 Native to Eastern Europe and the Mediterranean, sulphur cinquefoil was introduced to North America before 1900. It is able to invade and dominate pastures and rangeland that are in good condition. Thus, infestations can reduce the biodiversity of desired forage species. It is unpalatable to most wildlife and livestock. 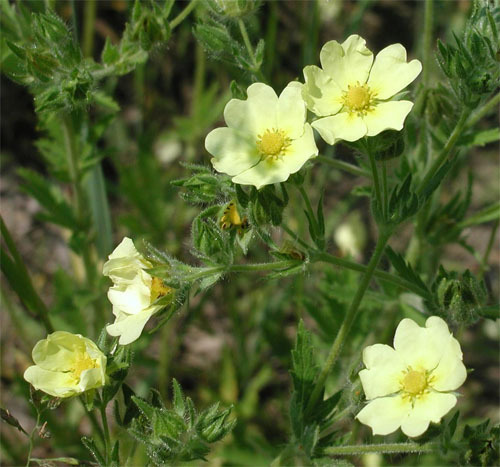 Sulphur cinquefoil's flowers are 20-25 mm wide and light yellow in colour, as the name suggests. Each flower has five petals with a distinctive notch that makes each petal heart-shaped. 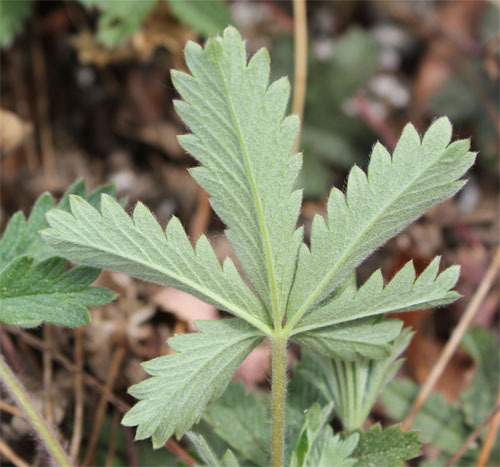 Leaves are 5-15 cm long and 5-10 cm wide and have green undersides. Leaves are stalked and palmate with 5-7 leaflets. The leaflets have toothed edges. The stems are erect with some branching in the upper portions and grow 30-60 cm tall. All parts of the plant, except the flowers, are usually covered in perpendicular hairs.